On January 31, 2018 the world experienced a Super Blue Blood Moon. This sign in the heavens coincided with the Jewish feast of the New Year of the Trees. But what is God saying to us through this sign? What is the connection between the Revelation of the Almond Tree and the Super Blue Blood Moon sign in the heavens? “The Super Blue Blood Moon is saying to us to watch,” says Pastor Steve Cioccolanti. 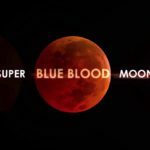 In this teaching Pastor Cioccolanti reveals the meaning of the Super Blue Blood Moon and two major events in world politics today that are connected to this sign. Also included: what the Church needs to learn Now about the Almond Tree Revelation!